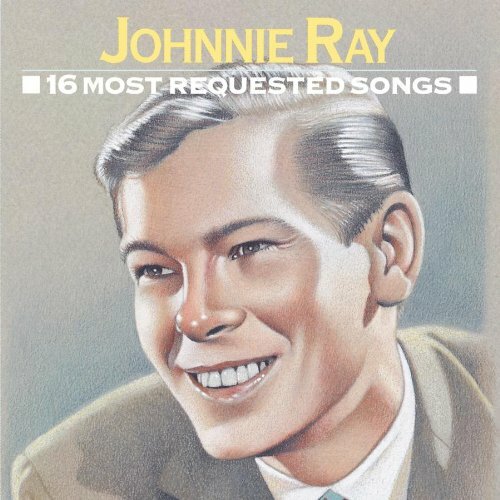 "Angel Baby" singer gone at 71. Rockabilly King, Carl Perkins turns 85. Appreciating Session drummer Earl Palmer. Album cover art by "Real Men with Ray Guns." 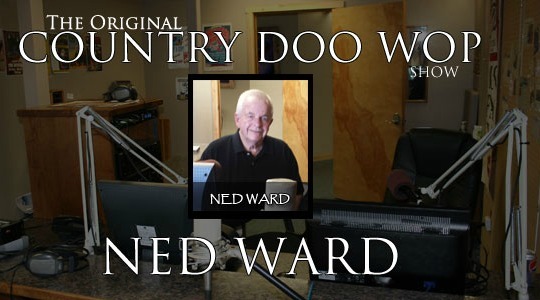 The Original Country Doo Wop Show - My favorite. What's New? Cover songs revisited. 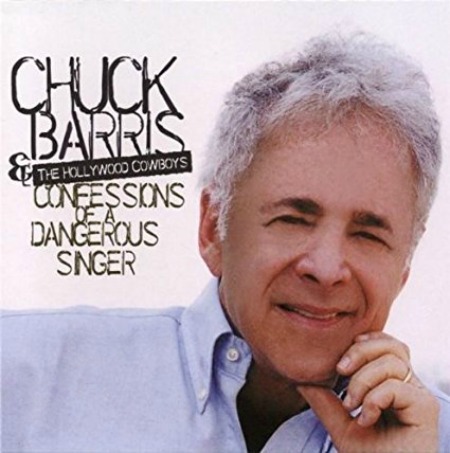 I've redone my "Best Cover Songs" page and you may see some new oldies since your last visit. 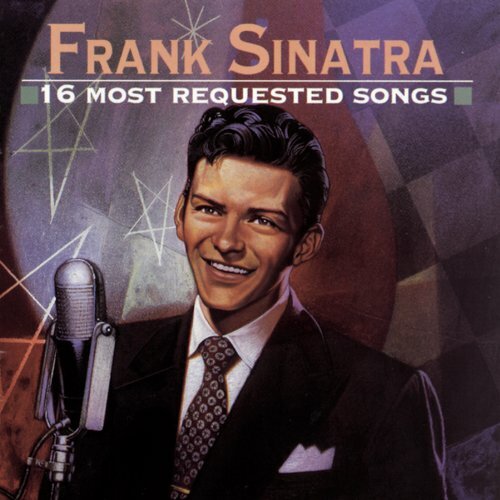 I love oldies "Remakes" where I believe the best version isn't always the first version. What song did "Gong Show" creator write? Angel Baby songwriter Rosie Hamlin has died. Rockabilly King Carl Perkins turns 85! 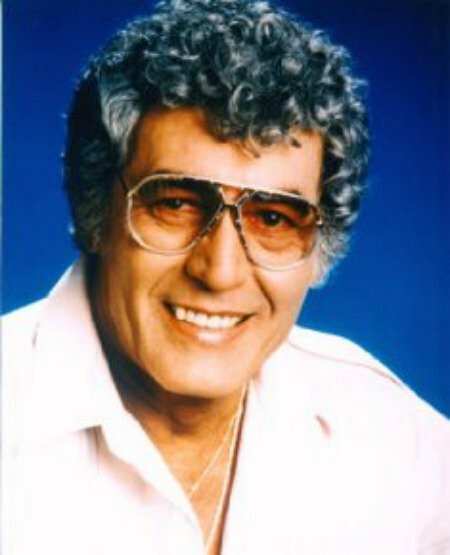 Carl Perkins birthday was April 9th. He would have been 85. I can visualize Carl Perkins at age 85 casually walking into Sun Studios wearing his Blue Suedes, hair slicked back in an early ducktail, guitar in hand, and ready to lay down those famous rockabilly sounds. I still miss the King of Rockabilly. When Carl died at age 65 in 1998 it was just a short 13 years prior that he performed with his friends, George Harrison, Eric Clapton, Ringo Starr, Dave Edmunds and others, in one of the hottest rockabilly shows ever performed in one setting. Listen to a couple of those memorable rockabilly songs and enjoy more great songs on my Carl Perkins pages. Read more here. Earl Palmer - Best ever on drums? Many of you already know I am a huge fan of Session players. Special musicians that perform on top ten hits that otherwise may not have been in the Top 40. Earl Palmer is one of those special musicians. Whenever I receive information about a song that screams for attention because of the players in the background, I choose to give those special musicians their credit due on many of my site pages. During one of my session player searches recently I came across the name Earl Palmer. Digging deeper, I discovered his achievements as a session drummer truly amazing. 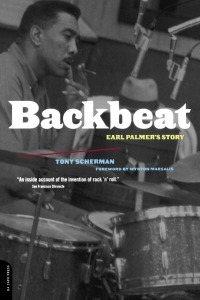 Piecing together information and his accomplishments, I began to realize...Could Earl Palmer be the best drummer ever? Maybe, maybe not...But his career as a session drummer, and those fantastic tracks he played on, would make it hard not to place him in the top tier of all drummers. Just my opinion. And, the opinion of many others in the music world. 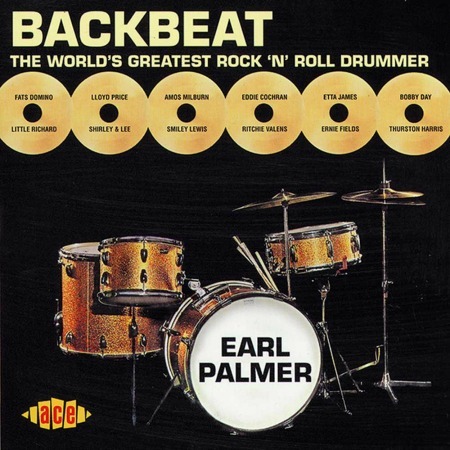 Though he didn't became well-known for it until late in his life, Earl Palmer was one of rock and roll's prinicpal architects, singlehandedly responsible for its most important and identifiable element: Its backbeat. And while he parlayed that into a wildly successful career as a sessionman, Palmer's status as the most recorded session drummer in music history remains only one of this major accomplishments. Palmer played in thousands of rock 'n' roll, jazz and pop music sessions, as well as on countless movie, television and commercial scores. "When you're working in the studios, you're playing every genre of music," Hal Blaine, his friend and another prolific session drummer, said in an interview after Palmers death in 2008. Blain was a member of the famed "Wrecking Crew" session band. "You might be playing classical music in the morning and hard rock in the afternoon and straight jazz at night. . . . That's where they separate the men from the boys. If you're going to be a studio musician, it's the top of the ladder. You can't go any higher than that in the music business." But it was while working with Little Richard on his early hits that he developed his most lasting legacy playing Richard's relentless boogie rhythm. Palmer passed away in 2008, but not before being inducted into the Rock and Roll Hall of Fame in 2000. He was 83. Here are just of few of some famous songs I remember on which Earl Palmer played drums. Palmer was the session drummer for more than 20 television show themes and soundtracks, and is listed as session drummer on more than a dozen Film scores. 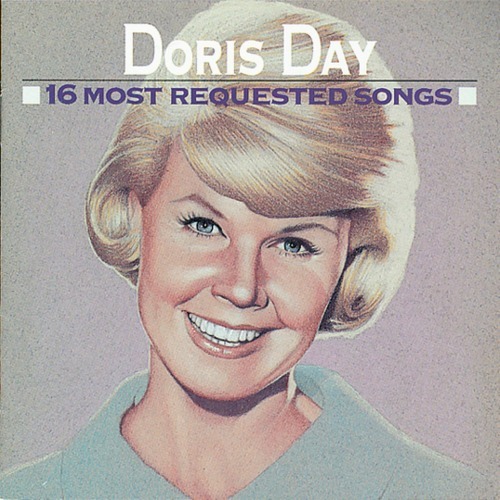 Album Cover Illustrations by Bill Nelson. I have always been fascinated with Album Cover Art. I have purchased albums because of the artwork without first listening to the music inside. 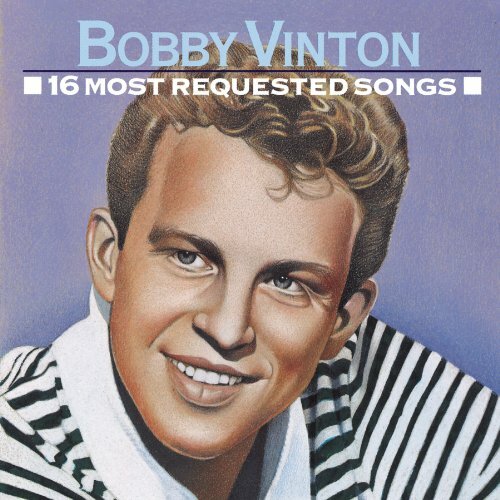 I noticed the work of Bill Nelson when writing a page about Bobby Vinton a few years back. Who was this talented guy? Bill Nelson is an English singer, guitarist, songwriter, producer, painter, video artist, writer and experimental musician. I was intrigued by the album titles---All were titled "16 Most Requested Songs." How does Bill Nelson produce this unique artwork for his albums? Bill answered the question on his blog, dreamsville Inn. The album artwork and packaging design is done "in-house" by Dave Graham and myself under our "Real Men With Ray Guns" name. The method varies from album to album. Sometimes I'll use a photograph that I've taken and computer manipulated, then send it over to Dave for him to work on the package layout and text design. Dave sends this back to me, I make observations regarding various little tweaks or changes and Dave refines it until we get to something that we're both happy with. It's a whole process of to-ing and fro-ing and general experimentation until we get to where we need to be. We have a lot of fun doing this and have kind of developed a "house style." It's great watching the entire package slowly materialize from a very simple starting point. 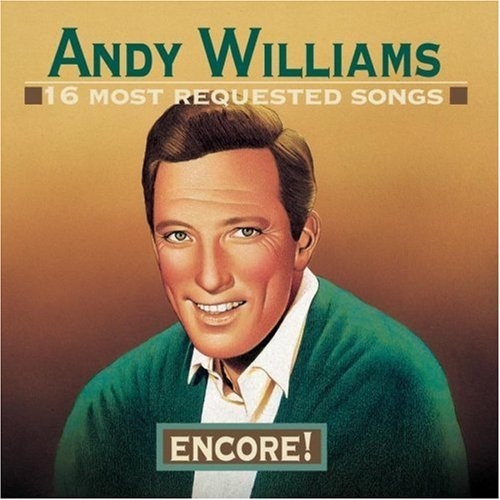 Like to see how I added one of his Illustrations for use with a Bobby Vinton song? Read more here. Betcha didn't know - How the original Station Wagon got its name. 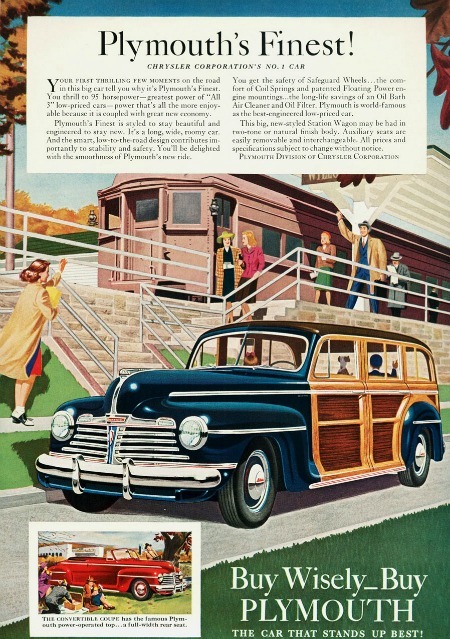 Plymouth, Chrysler's low-priced, high-volume division, offered its first wood-bodied station wagon in 1934--the Westchester Semi-Sedan Suburban--and just 35 were built. In the Bing Crosby and Fred Astaire classic film Holiday Inn, art imitates life in scenes where a 1942 Plymouth Special De Luxe station wagon transports passengers and luggage from the train station to the inn. In the real world, wood-bodied wagons were predominantly born of that very need---hence the name station wagon.